100% Wood - Holz100 Canada Inc.
A natural solid wood wall forms the basis of a healthy, ecological and honest living environment. That's exactly what Holz100 offers. 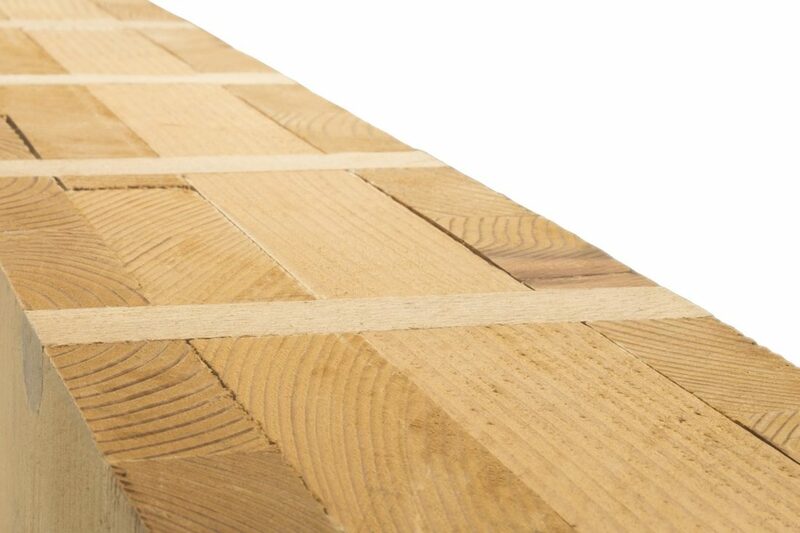 The special feature of Holz100 is the glue- and metal-free connection, only with wooden dowels. Wood, connected with wood. The construction with wooden dowels replaces glue and metal. ​The construction of Holz100 walls is in principle comparable to that of laminated wood elements. Crosswise layered board layers are combined to form a compact component. The big difference lies in the mounting material: Holz100 uses only wooden dowels. Standing and lying posts are solid, layered without gaps, to compact components. A calculated grid of dust-dry wooden dowels penetrates these layers in the full thickness of the wall element. The dowels absorb some residual moisture at their new location and swell inextricably into the surrounding woods. Powerful, they combine the items into a massive whole. From the point of view of building biology and ecology Holz100 is a stroke of luck. It consists of 100 percent renewable raw materials and at the same time improves the state of measurable technology. Debates as to whether a glue is more or less questionable and risky need not even be conducted - only pure wood is used.